Top 5 things to keep in mind before buying refurbished phones. Refurbished phones can be of two types- a) Manufacturer refurbished and b) User refurbished. 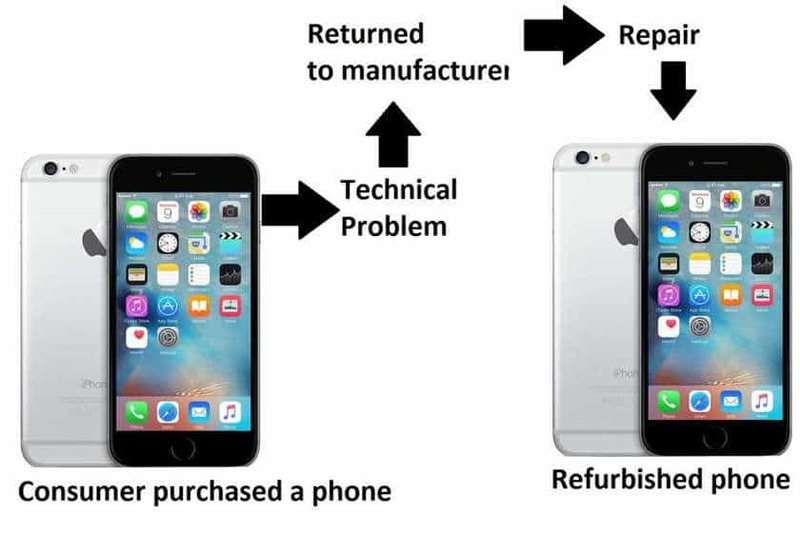 Manufacturer refurbished phones are the ones which may have been opened by a customer but upon finding any kind of damage or problem he had returned the phone and the manufacturer has replaced or repaired the damaged part and put it up for sale at a lower price than usual. On the other hand, user refurbished phones are those which may have been damaged during usage and the user has repaired or replaced the parts and wishes to sell the phone at a lower price. Usually, Manufacturer refurbished phones may be the better option over user refurbished phones. Refurbished phones are completely okay in terms of quality and performance and it’s just like any other new phone, just the thing is that the box was opened and the phone was used for a while, but then it was sold as a new unit after repairing or replacing the damaged part. 2Should you buy refurbished phones? I would say that the answer is complex. Let’s take an example. Probably most of you know how Apple cuts down the prices of previous generation phones as soon as they launch a new iPhone. Now, should you buy a generation old refurbished phone or wait a while to see a current generation refurbished phone? All depend on your budget and requirements. The good thing about iPhones is that if a user finds any problem with his iPhone like it is damaged in a way, ex- the lightning port, or camera or headphone jack is damaged, he can take it to the Apple store and ask for a replacement rather than getting it repaired. Apple will immediately start the process of the replacement as well as the refurbishing work. Apple will replace the phone and will repair or replace the damaged part and the phone will work completely fine. But, in the case of other manufacturers, unless they are unable to repair the phone or the phone has some kind of serious issues which can not be solved immediately, then they will replace the phone. However, they also repair the phones which may have got damaged somehow, so there is no problem if you buy a manufacturer refurbished phone. However, you should always try to avoid the user refurbished phones. Why? Read the next part. Manufacturer refurbished phones are the ones which are repaired by the phone manufacturer itself and not by any third party. On the other hand, the manufacturer will always offer warranty even upon if you buy a refurbished phone. While, you will rarely see any mention of warranty in case of seller or user refurbished phones. Even if they provide warranty, the warranty can not be claimed at manufacturer service centers and often you may end up in a terrible situation. This is a very important point to remember. Many e-commerce websites like eBay, AliExpress or Shopclues offer refurbished phones but STAY AWAY FROM THESE SITES. The main reason I said this is because in most of the cases you will not get a manufacturer warranty or their support is too less. Once they have sold a product, and then you found any issues with the phone. It’s not their headache. So, if you buy from them you may get into trouble very soon. 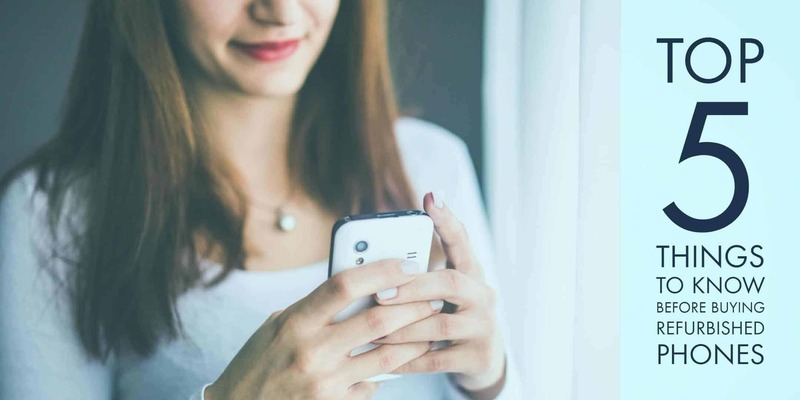 But there are some really good E-commerce sites which offer refurbished phones with additional support and also manufacturer warranty for up to 6 months in most of the cases. Sounds good, right? So, what are the best e-commerce sites fro buying refurbished phones? I would mention GreenDust.com, Amazon, and Infybeam (these are for Indian consumers only). If you are from the US then Gazelle is a great place to buy from if you want to get the best customer support and manufacturer warranty because you won’t be disappointed after you buy a phone from them. 5What precautions should you take? Some basic research is required before you buy a refurbished phone. There will be many of them and you need to apply the most important filter- Manufacturer refurbished phones. Because, as I said buying manufacturer refurbished phones is much safer than seller or user refurbished phones. Also, check what kind of warranty you are getting and don’t forget to check the warranty period. Before buying, check what kind of return policy the specific e-commerce site will provide you. These things are very important for every single person who ever is going to buy a refurbished phone. So, the final conclusion regarding refurbished phones is that those phones aren’t bad at all and you may buy one of them. But always be sure to keep these points in mind, or else you may end up spending a lot of cash for nothing. If you have any questions regarding refurbished phones or about any particular vendor, feel free to drop your query in the comments section below. Don’t forget to join us on Facebook as we’re most active there, and if you’re already connected to us on Facebook you will get our stories, news and leaks all covered and right on your newsfeed. Enjoy shopping!